National Sports Day of India marks the birth anniversary of great hockey player Lt. Dhyan Chand. 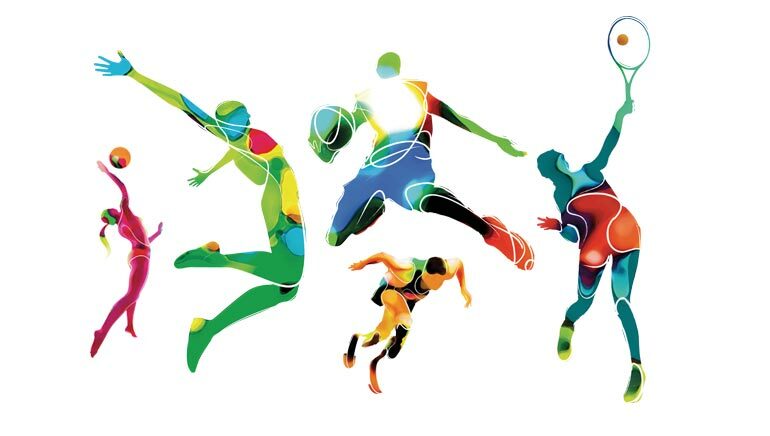 To celebrate his association with domain of sports, every year Indian government honours the players on 29 August, who perform exquisitely in sports. This year (2016) a large number of nominations were received for the awards. These nominations were considered by the Selection Committees which comprise erstwhile Olympians, Arjuna Awardees, Dronacharya Awardees, Dhyan Chand Awardees, Sports Journalists/Experts/Commentators and sports administrators. For Rajiv Gandhi Khel Ratna Award and Arjuna Awards, Selection Committee was led by Justice S.K. Agarwal, Retired Delhi High Court Judge. Selection Committee for Dronacharya Awards and Dhyan Chand Awards was headed by Ms. M.C. Mary Kom. And for Rashtriya Khel Protsahan Puruskar, Selection Committee was headed by Shri Rajiv Yadav, Secretary (Sports). This year PV Sindhu (Badminton), Sakshi Malik (Wrestling), Dipa Karmakar (Gymnastics) and Jitu Rai (Shooting) are being felicitated with Rajiv Gandhi Khel Ratan Award for their praiseworthy performance in Rio Olympics (2016). Besides, Shri Nagapuri Ramesh (Athletics), Shri Sagar Mal Dhayal (Boxing), Shri Raj Kumar Sharma (Cricket), Shri Bishweshwar Nandi (Gymnastics), Shri S. Pradeep Kumar, (Swimming, Lifetime), and Shri Mahabir Singh, (Wrestling, Lifetime) are conferred with Dronacharya Award. Further, players who are honored with Arjuna Awards are Shri Rajat Chauhan (Archery), Ms. Lalita Babar (Athletics), Shri Sourav Kothari (Billiards & Snooker), Shri Shiva Thapa (Boxing), Shri Ajinkya Rahane (Cricket), Shri Subrata Paul (Football), and Ms. Rani (Hockey), etc. Dhyan Chand Award is received by Ms. Satti Geetha, Shri Sylvanus Dung Dung, and Shri Rajendra Pralhad Shelke for Athletics, Hockey, and Rowing respectively. Rashtriya Khel Protsahan Puruskar is won by Hockey Citizen Group, Dadar Parsee Zorostrian cricket club, Usha School of Athletics, and STAIRS in Identification and Nurturing of Budding and Young Talent category. India Infrastructure Finance Corporate Limited has won the award for Encouragement to Sports through Corporate Social Responsibility. In this list, Reserve Bank of India received the award for Employment to Sportspersons and Other Welfare Measures. Also, in Sports for Development category Subroto Mukherjee Sports Education Society won this prestigious award. With a perfect finish in the Asia/Oceania Group I tie, the Indian Davis Cup team made its way to the World Group play-offs of the Davis Cup. The host nation’s team defeated its Korean rivals with a 4-1 lead. Leander Paes and Rohan Bopanna had already sealed the deal by taking a lead of 3-0, winning the only doubles-match against Seong Chan Hong and Hong Chung by 6-3 6-4 6-4. Saketh Myneni and Ramkumar Ramanathan had already won their respective singles. The final day matches were played in Chandigarh where the humid climate proved to be a hassle for both the teams. While Yong-Kyu Lim prevented a Korean whitewash with a gritty 3-6 6-4 6-7(2) win over Ramkumar Ramanathan, Rohan Bopanna aced the match defeating Chung by 3-6 6-4 6-4. Despite losing the tie, the Koreans have to be credited for giving a tough fight to the Indians. Even though they were playing on a foreign land, they gave their best shot in every game. After the final win, the Indian team celebrated by dancing on popular Bollywood number, much to the delight of their fans. This is the third time that Indian team has reached this stage in the game, they have lost play-offs twice – against Serbia (in 2014, Bangalore) and Czech Republic (in 2015, New Delhi). The team is all set to secure its position in the elite 16-nation World Group. The one month long football festival, Euro Cup as always was a vivacious, dynamic and throbbing experience for the football fans all across the globe. Hosted by France from 10 June to 10 July, the fifteenth Euro Cup was an exciting event. It was for the first time that 24 teams participated in the event (only 16 teams used to participate earlier). The final of the game showed that it is not necessary that the team with finest style of the play will win the tournament but the one which can survive against the odds. Portugal was not the best team contesting in the tournament and did not have a very strong team to support its bid for the cup. The team rode its luck all along the way with Ronaldo leading the team single handedly to the finale. Ronaldo’s injury during the match came out as a soul-crushing shock for his fans. But Ronaldo’s exit from the field fared well for the team as the French team was proving quite menacing for them before that. And the change in field position got them into a stronger position to fight. The Player of the Tournament award was given to the French player Antoine Griezmann and the Young Player of the Tournament award was conferred to Portugal Renato Sanches. For his 6 goals and 2 assists, Antoine Griezmann was awarded with the Golden Boot too. The Portugal captain Cristiano Ronaldo was given the Silver Boot for his 3 goals and 3 assits while the Bronze Boot was given to French player Olivier Giroud for 3 goals and 2 assists. Hungarian player Zoltán Gera’s goal against Portugal was named as the goal of the tournament based on online voting. The Indian Cricket Board has entrusted former skipper and ace spinner Anil Kumble with the responsibility to lead team India as head coach. 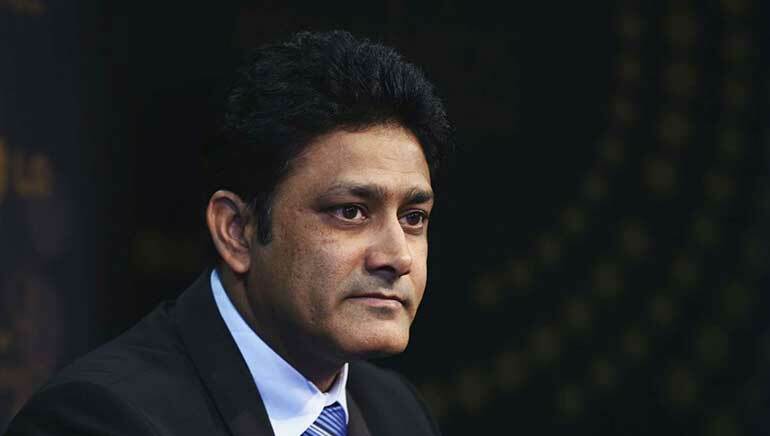 Former Indian captain Anil Kumble will hold the post for one year. It is after 16 years that an Indian player is appointed as the head-coach of the team after Kapil Dev resigned in September 2000. Kumble’s first assignment as the Head-coach of the blue-army will be to lead them for four-Test tour of the West Indies. “I have an opportunity to make a difference. I have an opportunity to be part of the journey and if I can be part of the journey where we see Indian cricket rise to where we all want it to be, then I think it’s wonderful. I feel privileged, like I already mentioned. It is an honor, again to be a part of the team.” Kumble said expressing his delight. Anil Kumble is one legendary cricketer. In a fabulous international career of 18 years, Kumble picked up 956 international scalps. He played 132 Tests taking 619 wickets at an average of 29.65 and was made the captain of test team in 2007. He is known for his best figures of 10 for 74 against Pakistan in Delhi in 1999. He is the highest Indian wicket taker in both Test matches and One-Day Internationals and is third in the international list behind Muttiah Muralitharan and Shane Warne. Even after his retirement from the field in 2008, Kumble’s connection with the cricket continued as he took up administrative roles. He was selected as president of the Karnataka State Cricket Association in November 2010. He also served as the chairman of National Cricket Academy in Bangalore and also got the privilege to head the BCCI’s technical committee. 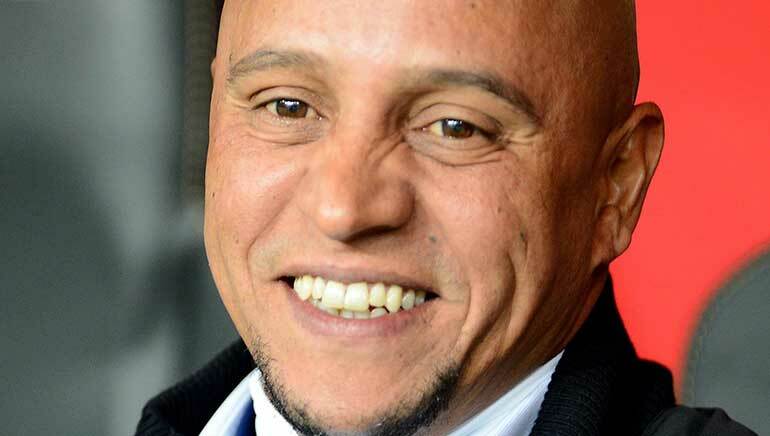 The former Brazilian defender and a Real Madrid star-player Roberto Carlos reinforced the close ties between Brazil and the UAE with his attendance at the concluding night of the fourth Nad Al Sheba (NAS) Ramadan Sports Tournament. Carlos was a special guest at the final of Futsal competition in Dubai where Al Joker was crowned as the winner. Carlos was excited to be present at the nail-biting finale of the Futsal competition and asserted that he is a keen follower of the Futsal games. He emphasized on the development of Futsal at the foundation level among the young players as it can improve their skills a lot. “Nearly every great footballer has played futsal at some point of his life. Futsal gives you the basics and we need to encourage our youngsters to play futsal during their growing years. Futsal is the right sport that can only be helpful in aiding the development of players,” the ace footballer insisted. He also acknowledges football as the biggest bond connecting the two nations. “Football and football players have long been the biggest ambassadors for Brazil all over the world. I feel proud to be at this wonderful sports complex and witness such an exciting and close final between two great teams,” Carlos said during an interview at the event. “One of the salient points in developing football has been this Brazilian connection with countries all over the world, and I am pleased to see this close connection between the UAE and Brazil,” he added. In an 11 year long club career with the Real Madris, Carlos played a total of 584 matches matches in all competitions and scored 71 goals, in the process winning for La Liga titles and three Uefa Champions League crowns. The annual Nad Al Sheba Sports Tournament takes place during Ramadan each year. A number of exciting sports competitions like paddle tennis, archery, volleyball, and running are organized to celebrate the spirit of Ramadan as developing the mind and body are integral parts of the month. The tournament this year was held under a new theme ‘Limitless Abilities’ in keeping with the aim to encourage sports for special needs athletes. Keeping the increasing popularity of Badminton in the region in view, the UAE formed a new governing body to oversee the ongoing development of the game. The UAE Tennis Association now rechristened as the UAE Table Tennis and Badminton Association will enhance the governance, administration, grassroots development and event delivery for both sports by sharing the resources. The formation of the governing body, facilitated by Falcon and Associates, was announced by His Excellency Saeed Hareb, Secretary General of Dubai Sports Council, and His Excellency Dawood Al Hajri, President of the UAE Table Tennis Association, with the Badminton World Federation President Poul-Erik Hoyer witnessing this important event. Dawood Al Hajri’s name was announced as the new President of the Association, with Hassan Al-Zarouni appointed as Secretary General, Abdulrahman Al-Menhali as Treasurer and Ghazi Al Madani as a board member. Nico Rosberg has won a fourth time this season after winning the Russian Grand Prix, which he dominated since the start. At the same time, it wasn’t easy for Lewis Hamilton as he had an engine failure in the qualifying round and consequently had to start at 10th position. However, as expected Hamilton was the best in the race, fighting back hard to gain 8 positions and finishing second. Now, Rosberg is leading with 43 points after his victory. Other happenings at the Grand Prix include Ferrari’s Sebastian Vettel’s crashing out on the first lap after being hit twice by Red Bull’s Daniil Kvyat. Hamilton was impressive, but had bad luck when he closed dramatically on Rosberg in the mid-part of the race, however had to back off to protect his engine. After Hamilton overtook Ferrari’s Kimi Raikkonen on lap seven and Williams driver Valtteri Bottas on lap 19, he came to second position right behind Rosberg. Though the Russian President Vladimir Putin arrived late, he watched Rosberg and Hamilton finishing the race.